Never Enough Nails: Born Pretty Store Nail Foil Stickers Are Super Flashy! Born Pretty Store Nail Foil Stickers Are Super Flashy! Recently, I was given the chance to pick a product for review from the awesome Born Pretty Store. 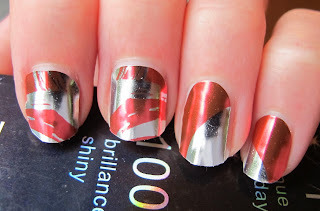 I have wanted to try foil nail stickers for awhile, to see if the Minx look was possible to achieve from a product like this. I have mixed feelings about these stickers, so read on for my full review. 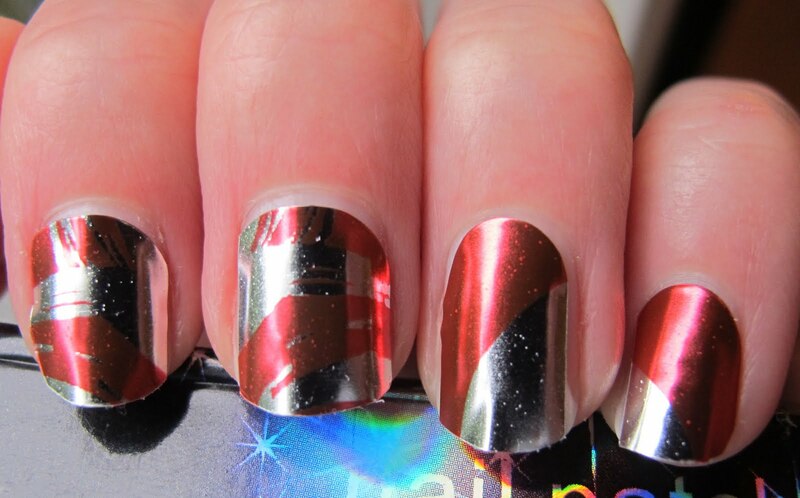 The first problem with these particular nail stickers is that they don't file well. 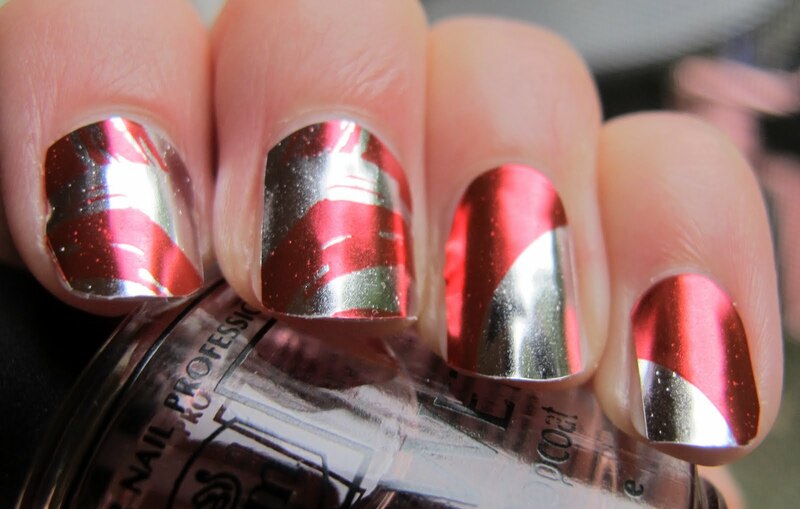 With most nail stickers, after you apply them, you can file off the excess and shape them to your nail. Because these stickers are made from a very thick, non-pliable foil, they really don't file. 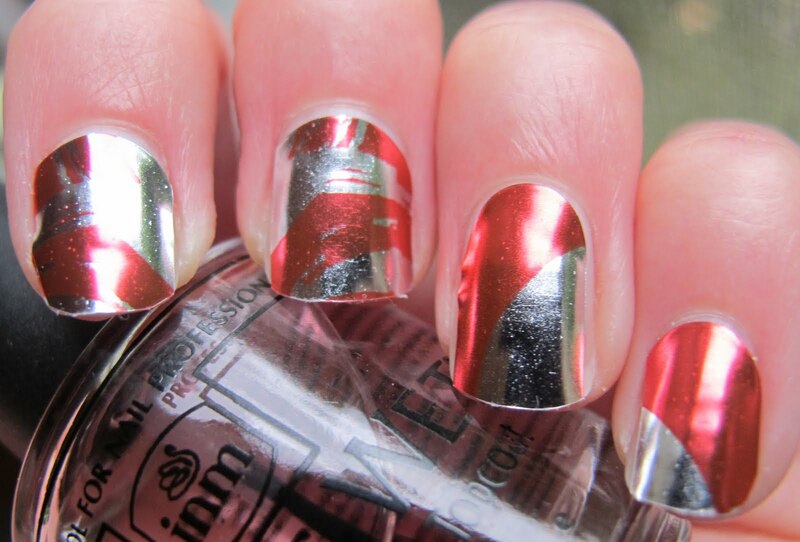 To apply these, you must cut them as close to your actual nail length and shape as possible. Then, apply them to your nails. After application, I used a nail clipper for any substantial excess material, and then attempted to file them to the shape of my nails. The second problem I encountered is that, again because of the stiff material, these didn't want to conform to my nails. I smoothed them out quite a bit, but there were still some bubbles and bumps. My third problem is the removal directions: "1. Wash hands with warm, soapy water. 2. Gently peel off". Other nail stickers I've tried remove with regular nail polish removers. I take very long, hot showers, so unfortunately, the very first shower I took, these started to peel off. Check out Born Pretty Store's Nail Art supplies and nail stickers! Use the code ERJ61 for 10% off of your purchase! These nail stickers were sent to me for review by the Born Pretty Store. For more information, please see my Disclosure Policy. It's a cute idea but I can see where it would be soooo frustrating if they didnt' fit perfectly! Rock-or-not- thanks! It's quite pretty! Carly- you have to be careful to cut them right, but otherwise they work out well! Veronica- they are definitely eye-catching!